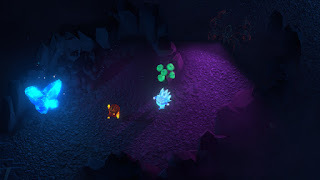 7 MARCH 2019 - Developers Pixel Engineers have today revealed their chaotic party game Hunt 'n Sneak - a game in which light is both friend and foe - will launch onto PC via Steam on Wednesday 10th April. Alongside the announcement comes a brand new trailer showcasing the game's striking art style and frantic gameplay. Hunt 'n Sneak is a manic couch co-op multiplayer game set in a world of mythical creatures. Players take on the roles of either the fearsome Gobbler as it tries to devour the Pixies and take over their world; or as the mischievous Pixies, who use pings of light to navigate their surroundings and escape the Gobblers. You'll have to play smart if you want to win as you pursue, evade or outwit your opposition. Hunt ‘n Sneak started life as an experimental game jam at the Academy of Interactive Entertainment in Melbourne, Victoria. During this time, the game had the working title of Ping and is no stranger to awards after winning first place in the game jam’s category of ‘Couch Multiplayer’. Since then, Pixel Engineers have transformed Hunt 'n Sneak into a fully-fledged, energetic multiplayer experience, playable by up to four players simultaneously. James Koehne, founder of Pixel Engineers, said: "Stealth, intense chases, and jukes for days are just some of the things you'll be frantically doing in Hunt 'n Sneak. As we build up to the launch of the game we are ready to take the next step in the game's journey and I can't wait to show the game to everyone!" Hunt 'n Sneak will be released for PC via Steam on Wednesday 10th April 2018, priced at $19.99 USD. Check out Pixel Engineers social media on Twitter and Facebook. Hunt 'N Sneak has an Official Webpage. Light is both friend and foe in Hunt 'n Sneak - a manic party game set in a realm where mystical and magical creatures dwell. Home to the peaceful (albeit mischievous) Pixies, the realm is threatened by terrifying beasts. Darkness rises as Gobblers from a far-off land with a taste for Pixies try to overrun their kingdoms. In Hunt 'n Sneak, one player must take control of a Gobbler, a fearsome invader of the Pixie realms. 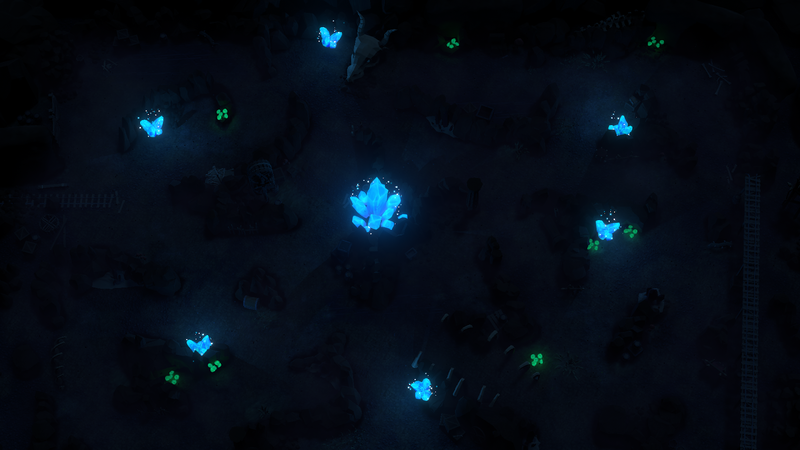 The remaining players control the mischievous Pixies, who are doing their best to survive by hiding in the shadows. As a Pixie, use bursts of light known as 'pings' to navigate the environment. Each time a Pixie pings, however, their location is temporarily revealed to the Gobbler. For the Gobblers to be victorious they must devour each of the Pixies within the allocated time. In order for the Pixies to claim their victory, at least one of them must survive until the very end of the game. Pixel Engineers is a Melbourne based indie game dev studio comprised of three graduates from the Academy of Interactive Entertainment (AIE). Each member has continued to work effectively and enthusiastically within and around the games industry in Melbourne and they are currently working on their debut title Hunt 'n Sneak.